Salvatore Brothers. . HD Wallpaper and background images in the Damon and Stefan Salvatore club tagged: stefan damon salvatore brothers paul wesley ian somerhalder the vampire diaries. 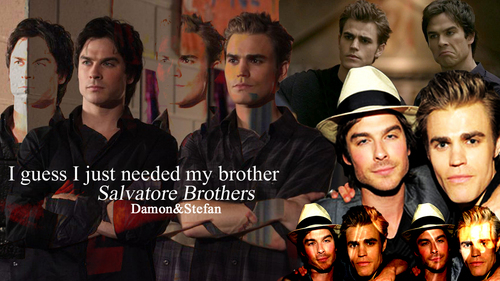 "i guess i just needed my brother." i was so happy when Stefan said this.but i expected a hug at this moment or something else so i was a bit sad ,too.Anyway Stefan finally admits how much he loves and needs his brother! !